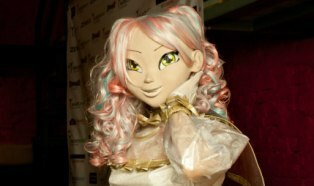 I'm a kigurumi mask maker and, of course, doller^^ I like to make something new, and sometimes I go to different events as a doll. Hi all, so glad I found this site. Luv dollification! and I can't wait to learn so much! Post subject: The Darker The Berry The Sweeter the juice. i am quite new to this whole dollification lifestyle. it have always been a desire of mine to become a black barbie doll. The saying goes "the darker the berry the sweeter the juice" . i don't mind being my own doll, and having a guy understand that and still wants to show case me around, and take his dirty doll fantasy on me. i am very happy i found this forum with like minded people. Hello in the Us! Wanna look like the black barbie badly! My name is Baby Jane and I am curious about fulfilling my fantasy to become a living doll for play. Sadly, it seems that this beautiful forum has all but been wiped away from the internet. Hello, my name is Cindy, I'll just say this now, please don't judge me as a bot (I don't have a want/need to be a bot, I have a want/need to be to be a doll!) as I am not, but I am a transsexual cam girl. I won't even put my link into this email. Well, maybe I'll add it to a letter or piece of punctuation or something. LOL, you thought I added it in there, didn't you? Anyway, so as you can tell, I am very playful and fun. I'm the kind of doll that everyone wants around. Sadly, I am alone. I haven't an owner but am brand new to dollification. Ever since I was a little girl, I have wished that I could be a doll. I'm an ABDL, a Doll, Trans, and into other random stuff. I would love to go as far as someone would have me go to be their doll. My only limits are that my beauty is gained, not lost. Thank you for having me in your community. I promise I'll be as have as I can be. Hello!! I am not new here, but because before i dont present myself, i do it now. And so i am t-girl, for idea transsexual, but i dont have any real changes up to present time, but once i have. So or so i am live full time a woman. Here i some long time just read topics about dolification, but now i am ready do next step, and not only read, but and go deep in doll life, what so or so i am. So, it shortly abotu me. File comment: It i was in doll museum, where can wear some what from old fash, like dolly. hi all, I'm doll_lovr, I'm relatively new to dollification and I'm looking to start a doll collection with a wind up doll. I live in central ohio and I'm looking to find a woman ages 21-40 looking to become a doll for a 24/7 relationship. I'm looking forward to meeting new people and learning alot about this exciting fetish. Hello everyone. I have lurked on here for long enough without having the courage to post anything, but maybe it is time to change that. So, I am Robyn. I am a 28 year old Irish transgirl, and... I want to be a doll. I would love to have someone claim me as their own. Mark me as theirs. Start to transform me so that I could never look like a regular human again. To exist solely for the pleasure of another, all holes open and ready for service would be the greatest honour that could be bestowed upon me. My name is Rebecca nice to meet you all. Hey Rebecca, care to tell us all a bit more about yourself?